A Chinese military reconnaissance jet flew into Korea's air defense identification zone again without warning on Wednesday. 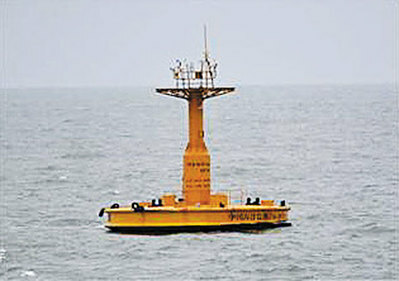 It flew to an area about 96 km east of Gangneung on the east coast before turning back. The incursion came only a few hours after U.S. Secretary of Defense James Mattis hinted at resuming joint military drills with South Korea and was the fifth such incident this year. According to the Joint Chiefs of Staff here, the Chinese Y-9 spy aircraft flew into Korea's ADIZ from southwest of Ieo Island around 7:37 a.m. without identifying itself as protocol requires. 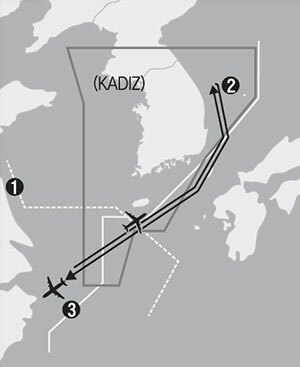 The aircraft stayed within the ADIZ for about four hours and 13 minutes before leaving around 11:50 a.m. The Air Force scrambled F-15K fighter jets right after the Chinese spy plane came into the KADIZ, watching it and sending warnings. The Chinese pilots told them they were on a normal training flight in international airspace, and continued their flight. Air defense identification zones are not territorial airspace but require incoming planes to identify themselves to the county that claims them. International practice is for foreign military and civilian aircraft to seek permission from military authorities of relevant countries 24 hours before entering such zones. This year, Chinese military aircraft violated the KADIZ on Jan. 29, Feb. 27, April 28, July 27, each around the time of a major event for the Korean Peninsula -- before and after the Pyeongchang Winter Olympics, the day after the inter-Korean summit, and the day when North Korea repatriated remains of U.S. soldiers killed in the Korean War. "This could be a message that Seoul should not forget China's influence on the Korean Peninsula," said Park Won-gon of Handong Global University. "Or it could be an attempt to divert attention away from its own bareknuckle military activities."